Looking for that perfect gift for your soon-to-be parent friends and family? Want to give them a timeless gift that will last for generations? Forget the gift registry and give them the gift of a custom photography session or package with gift certificates! 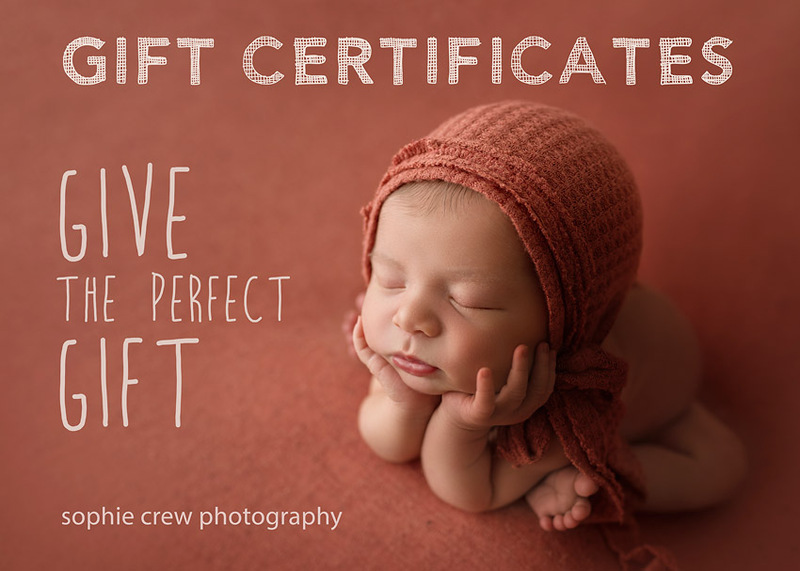 Sophie Crew Photography is pleased to offer photography gift certificates with a few options for gifting. Choose between a session only, print credit or all-inclusive packages. Just order below and let Sophie take care of the rest. Choose between a physical gift certificate beautifully packaged and mailed to you or to your friend directly, or an electronic certificate sent via email. No matter what you choose, your loved one is going to LOVE this special gift. Please be sure to check out the photography investment page for all of the details! *Gift certificates are non-refundable and cannot be redeemed for cash. Gift certificates do not expire. Click below to purchase your gift certificate!